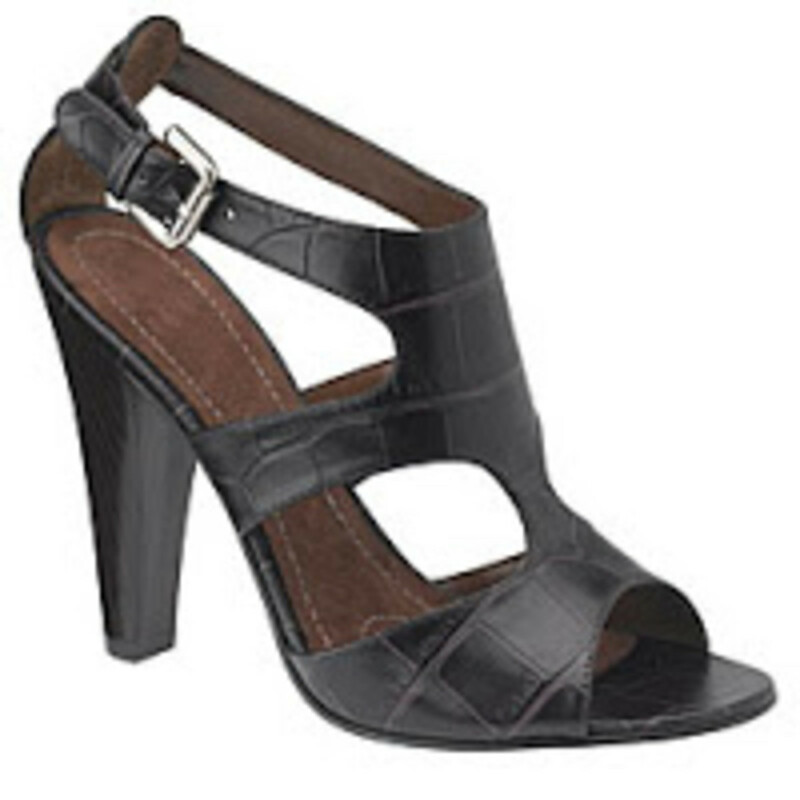 heel looks like a strappy sandal, with its strategically cut out shapes, yet is sturdy enough so you can walk comfortably; despite the extra 4 1/2 inches. I love the subtle detailing etched into the dark brown leather and the peep toe adds a seductive touch. Best of all, they were on sale for $59 in the store, a great price for a sleek sandal that made me forget all about my bad luck finding a long dress.